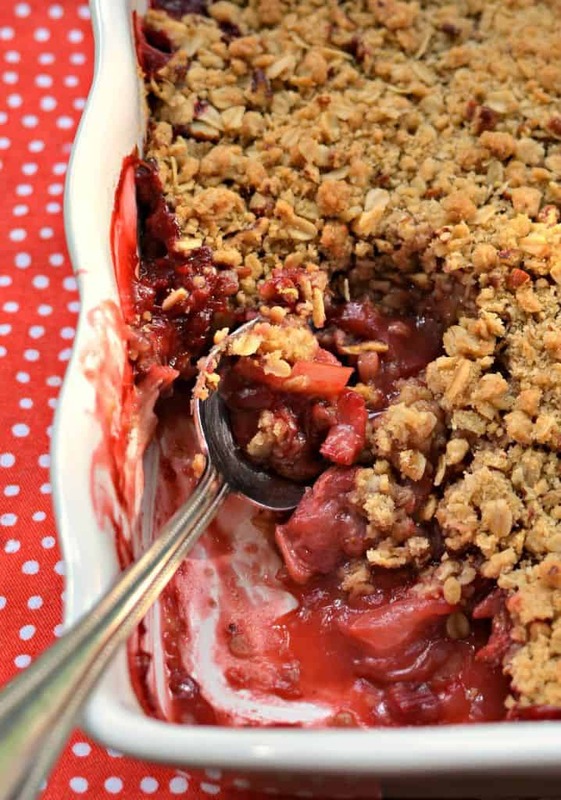 Fruit crumbles might just my favorite dessert. Love this strawberry rhubarb combo! YES PLEASE!! Yum, this looks fantastic. I look forward to giving it a go. 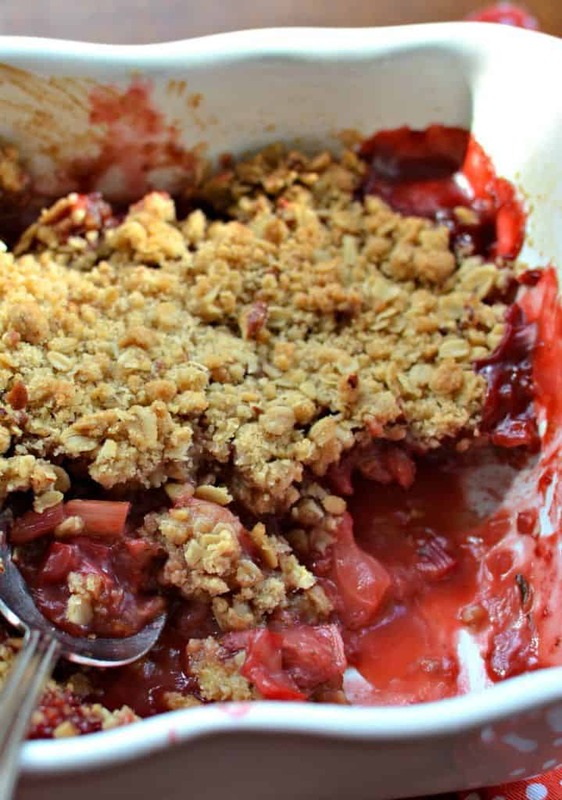 The crumble with a scoop of ice-cream is right up my alley! Thanks so much Adrianne. I hope you enjoy it! 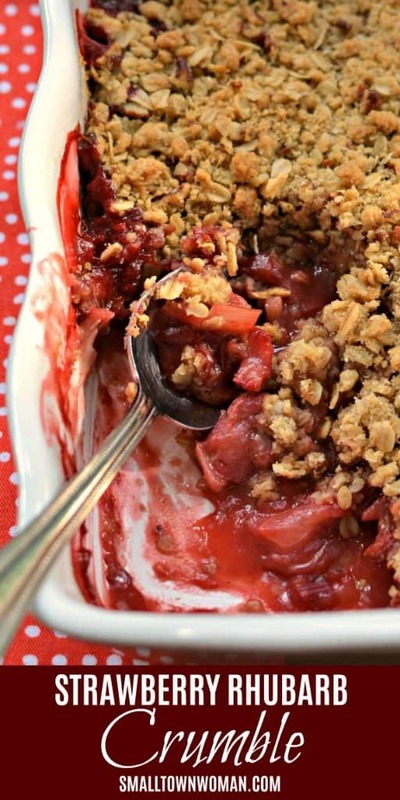 I keep seeing wonderful recipes with strawberries and rhubarb together like this, but I’ve never tried them together- I know, crazy! 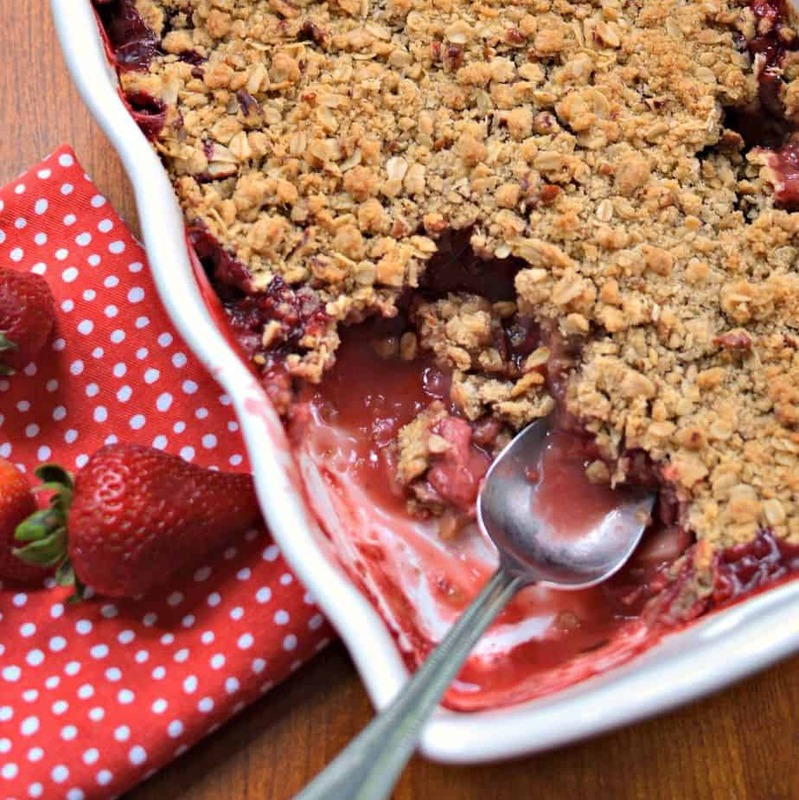 This crumble looks marvelous! I would love eating it piping hot out of the oven with a scoop of ice cream. You have got to try it! It is absolutely delicious!! Awesome! I hope you love it as much as we do. Oh my! 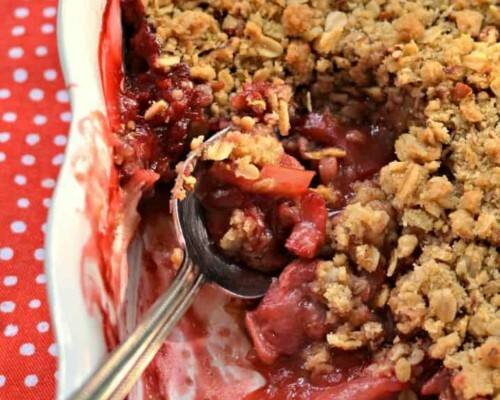 This Crumble looks so amazing! 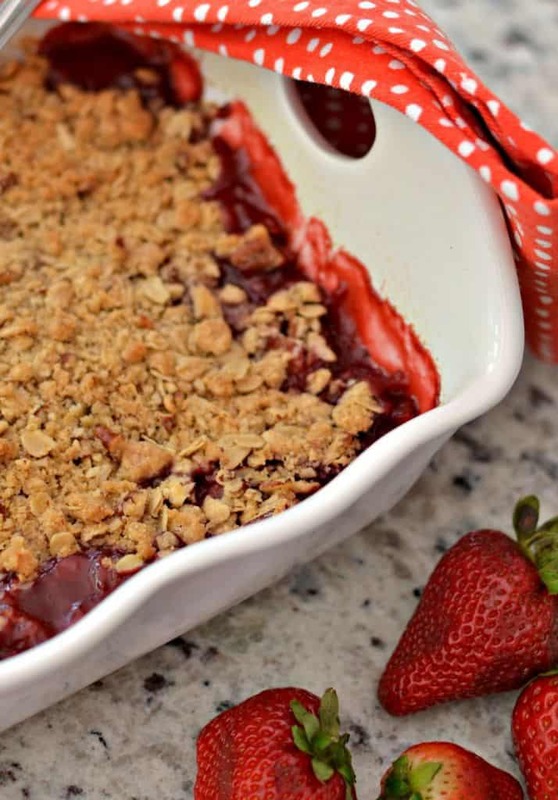 I still haven’t tried Strawberries and Rhubarb yet, but I need to try this for sure! You really should try it! It is delicious!